"I am building my dream-house on my dream-ranch. My house will be standing, act of God permitting, for a thousand years." 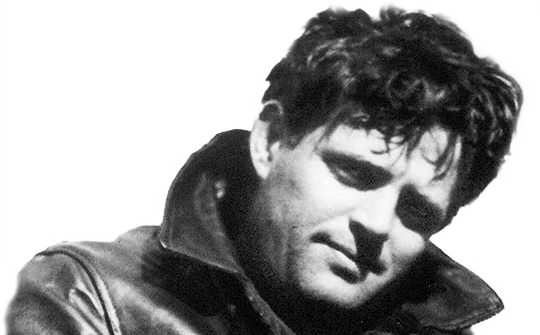 Jack London wrote so often about wolves and dogs that his friend George Sterling gave him the nickname “The Wolf”. So, when Jack started building his dream house in 1911, it was only fitting that it would become known as the “Wolf House”. Unfortunately, Jack and Charmian never moved in. Construction was nearly complete when a fire began late on the night of August 22, 1913, spreading rapidly and gutting the interior of the house—only the massive masonry walls remained standing by the morning. Although arson was suspected, no substantial evidence was ever discovered. In 1995, a forensic team of investigators concluded that the likely cause was the spontaneous combustion of linseed oil soaked rags left behind by workmen. The fire had a profound effect on those most involved in the project—Charmian wrote that “the razing of his house killed something in Jack, and he never ceased to feel the tragic inner sense of loss”. London hired San Francisco architect Albert L. Farr to design the home. Farr was a leading exponent of Arts and Crafts architecture in California. The design was described as “rustic and individualistic”. Mindful of the severe damage caused by the 1906 San Francisco earthquake, London and Farr incorporated great strength and durability into the design of the structure. 15,000 square feet, with 26 rooms and nine fireplaces. Jack’s library measured 19 by 40 feet, and a living room two stories high measured 18 by 58 feet. Plans included a water heater, electric lighting, refrigeration, a built-in vacuum cleaning system, laundry facilities (including a “steam dryer rotary wringer”) and a wine cellar. Final cost in 1913 was an estimated $75,000 (about $1.9 million in today’s dollars).